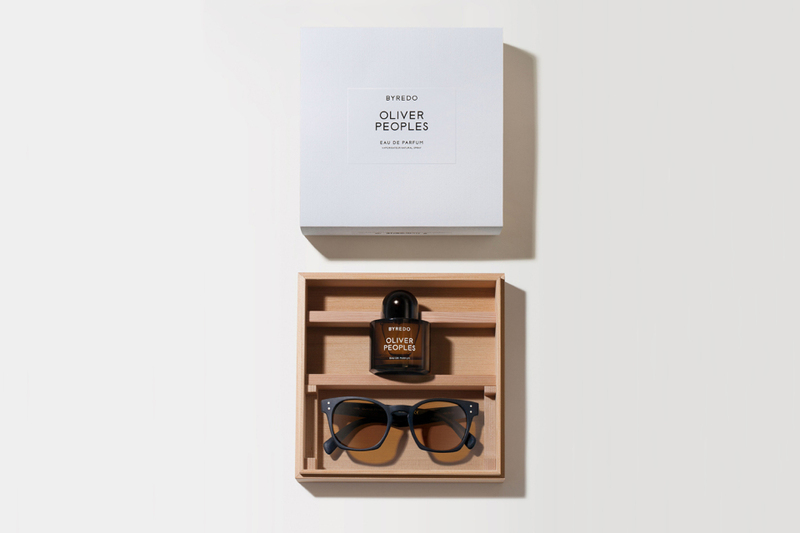 Stockholm based niche fragrance house Byredo have teamed up with Californian sunglasses brand Oliver Peoples for a scented collaboration that pairs stylish eyewear with an equally fashionable fragrance. Inspired by the idea of synesthesia, the “joint perception of the senses”, where one can see colours or shapes when experiencing certain smells, a California-inspired fragrance was created to evoke the idea of a land seen through the varying shades of different coloured lenses. The result is a fragrance that is spicy, marine-like and warm, and in a link to the lense colours, is available in Byredo’s signature bottle shaded in either indigo, champagne or green to match the limited edition sunglasses. 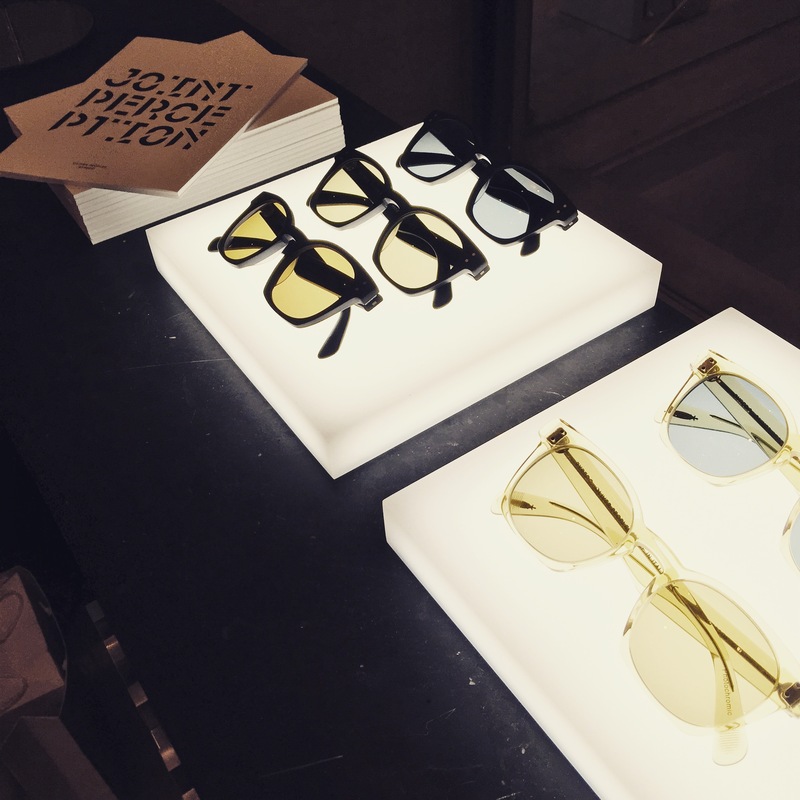 Byredo and Oliver Peoples have created a space in the London department store Selfridges where customers can experience the fragrance, frames and lenses together. This retail space allows one to pick out the eyewear and fragrance bottle that speak to them, and is an interesting exercise in understanding what the individual eye is drawn to. 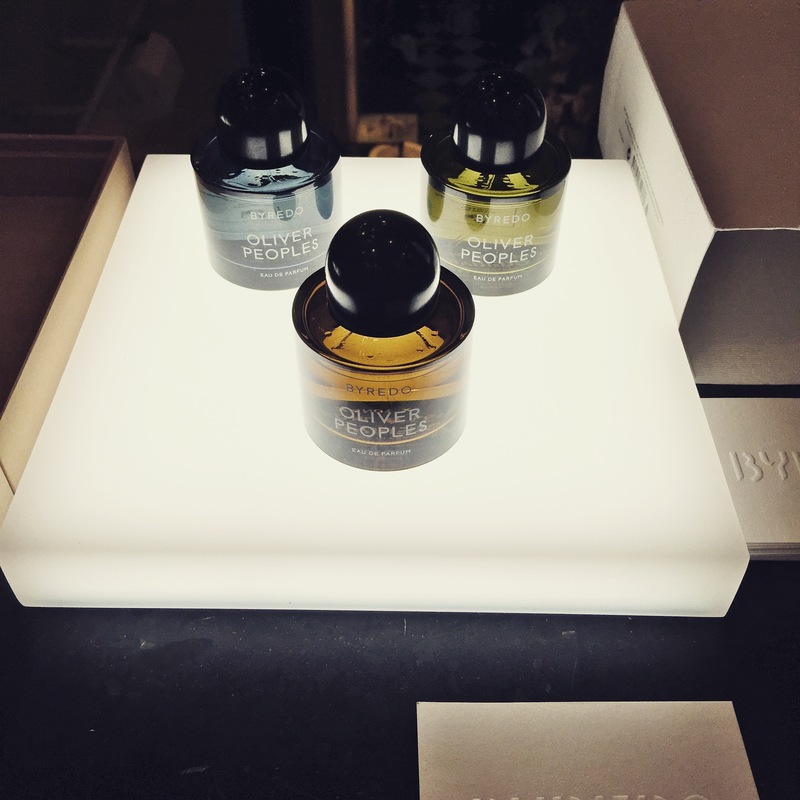 Also, as we are so led by the marketing and packaging of our fragrances, it’s quite fascinating to see whether the fragrance itself is perceived differently when smelled in each of the three bottle shades. Does the indigo highlight the marine notes or does the champagne accentuate the warm sand? Intrigued by this, and the scent? Swing by on Monday for a full review. 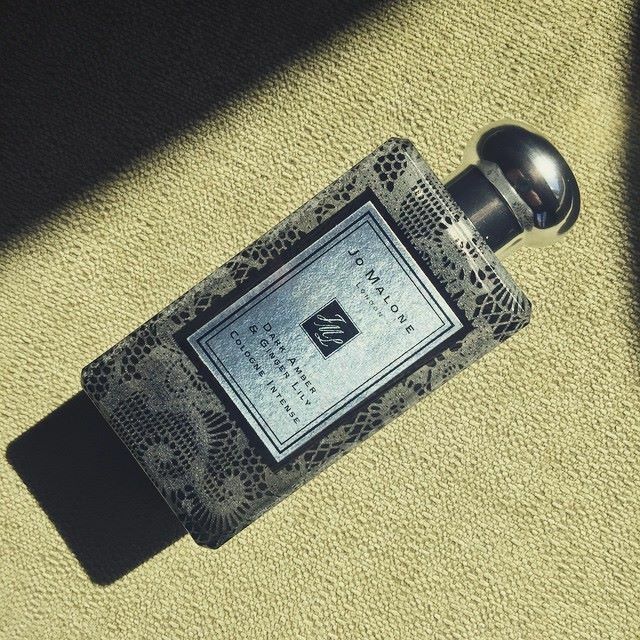 This May, London-based lifestyle brand, Jo Malone is launching a series of limited edition lace bottles for some of their most bridal-appropriate fragrances. Available in Peony & Blush Suede, Orange Blossom, Red Roses, English Pear & Freesia, Lime Basil & Mandarin, Nectarine Blossom & Honey, Wild Bluebell, Pomegranate Noir, Velvet Rose & Oud, and Dark Amber & Ginger Lily, the Lace Editions are etched in three different designs and serve as a wonderful gift for the happy couple or simply a treat for the Jo Malone collector. Whilst we’re on the subject of weddings (love is in the air, it seems! 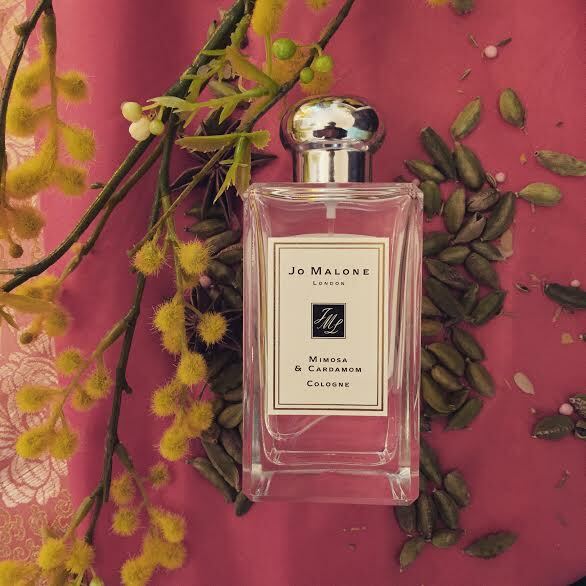 ), Jo Malone are also offering complimentary wedding consultations at their boutiques, in which brides and grooms-to-be (along with up to five family members or friends) can discover just how to “scent their wedding”, through the Jo Malone collection of fragrances, body products and candles. Further info can be found on the Jo Malone website, and for info on how I scented my wedding, simply click here. ODOU, the magazine dedicated to the world of smell and fragrance, has taken to kickstarter to help launch its fourth issue. The brainchild of Liam Moore, ODOU explores smell through poetry, photography, personal stories and interviews, just to name a few of its mediums, and is already gaining a massive following. Last year, the magazine won the much-coveted Jasmine Literary Award, and this year it has gained no less than six nominations (requesting permission to brag – including an article of mine in issue three) – and that’s all by the third issue. ODOU has got off to an impressive start, for sure. I’ve had the privilege of writing for ODOU and I have faith that issue four will be just as fascinating and moving as the first three. I will definitely be backing the kickstarter, not only because I think it will be a success, but because there is nothing quite like it on the market. This magazine beautifully outlays some of the best olfactory content out there, in a way that nobody else does. It deserves to be huge. For more info on ODOU and Liam’s crowdfunding, or to back the project, click here to visit the magazine’s kickstarter page. Also, for a quote from Liam re the project, just head below the jump. 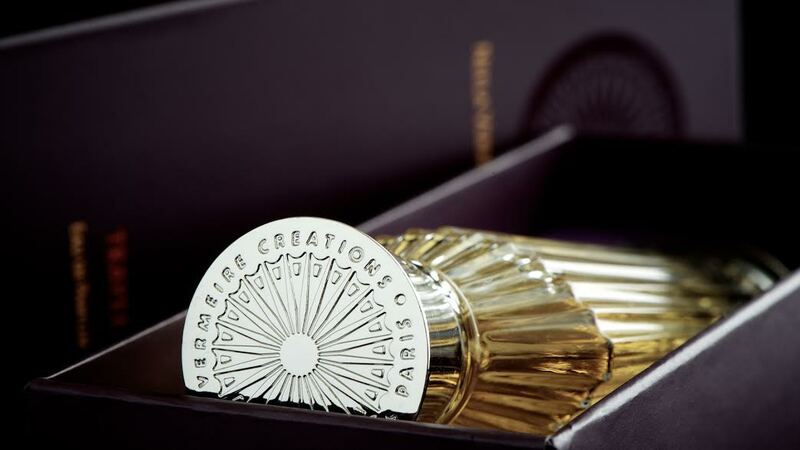 French/Indian niche brand, Neela Vermeire Créations, is set to launch their sixth fragrance in the coming months. Entitled ‘Pichola’ (pronounced Pitchola), this fragrance continues the house’s exploration of India in a perfume that takes its name, and inspiration from one of India’s most famous lakes within Rajasthan. Pichola, subtitled ‘Majestic Reflections’, has been described as adding a “new twist” to the range.